New developments in the 3D printing industry have allowed scientists to use living cells as ink to print organs. Up until now, most 3D-printed organs and tissues have not been large enough or stable enough to implant in humans. But ITOP produces viable structures that have been tested in mice and rats; Wake Forest’s study has even been backed by the U.S. Armed Forces Institute for Regenerative Medicine. That’s because ITOP has the potential to save the lives of wounded soldiers. ITOP makes the organs by layering patterns of biodegradable, plastic-like materials and water-based gels containing stem cells. Once transplanted, these organs could be colonized by human blood vessels (their plastic-like elements having degraded), and their self-sustaining regenerative processes can begin. Wake Forest’s most significant achievement, though, may be the ITOP organs’ ability to withstand implantation. The team invented a temporary polymer outer shell to keep structures intact during this process. They also added tiny channels to the printed tissues that help carry nutrients, water, and oxygen to the living cells. So far, Atala’s team has observed nerve formation after two weeks in muscle tissue that they inserted in rats. 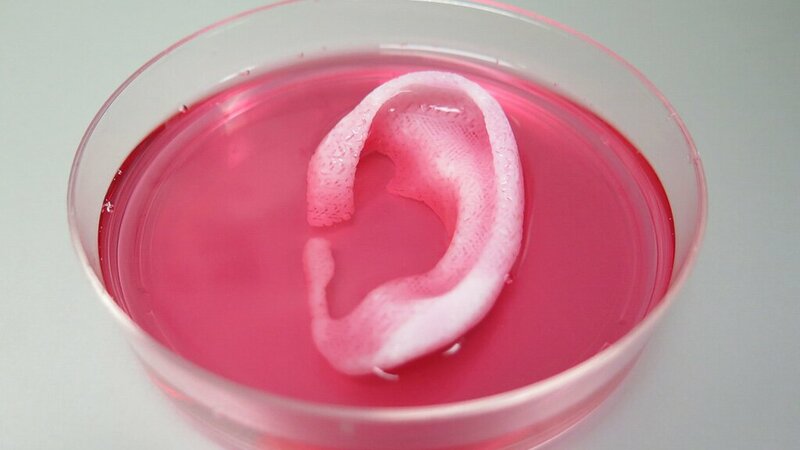 They’ve also printed human-sized ears and documented the formation of cartilage tissue after two months in mice. These and other tests are showing the ITOP’s great promise and the dawn of a new era in personalized medicine.